U.S. Representative Will Hurd of Texas is a Republican, but he sided with Democrats yesterday in a vote to reopen the government. We’ll ask him why. And: Volatility – it’s a term investors don’t much like to hear in talks about the stock market. Why the last several weeks have been so up and down. Also: Houses of worship are reconsidering security after sanctuaries have become targets. 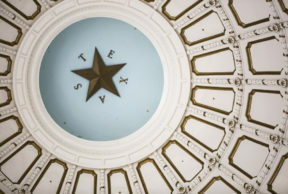 We’ll hear from church and mosque leaders in Texas.Also: Employees suing the government, the latest on court battle over the Affordable Care Act and whew, a little arts and poetry. Join us for the Texas Standard. How Should You Handle The Stock Market’s Wild Ride? Hold On For Long-Term Growth.